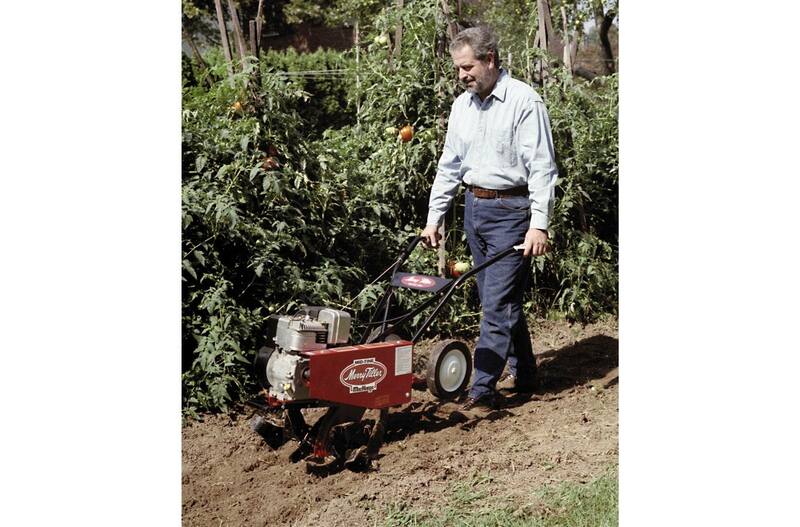 The Suburban Tiller is the choice of serious gardeners. The Mid-Tine® Suburban offers superior handling and better weight balance when compared to front tine tillers. The Suburban is great for just about any size garden, whether you need to break new ground, expand or create a new garden, or if you have a mature garden, the Suburban is right for you. The Suburban features a double gear reduction transmission allowing the tiller to bust through just about any ground. The drag bar and wheel are easily adjusted with the simple pull of a pin. Pull one pin to release the wheels, lift them to the up position and insert another pin. The drag bar can be adjusted for different soils. Once the wheels are up and the drag bar is down, adjust the throttle from the operator's position, squeeze the clutch handle and start tilling. The Suburban tills a 26 inch wide swath and can till up to 12 inches deep. The Original Mid-Tine® Tiller and still the Best!!! 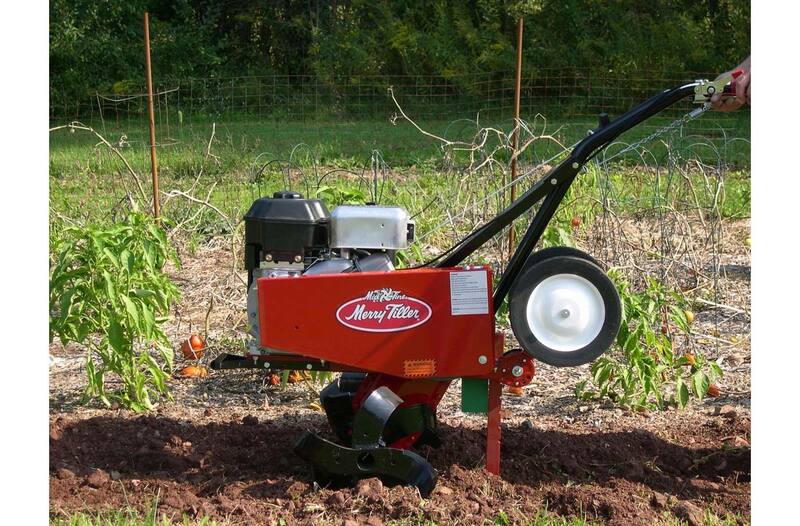 Tilling Width: 14 in., 26 in., or 37 in. Prices shown are suggested retail and do not include freight, dealer set up, or applicable local taxes in US Dollars. Prices and specifications are subject to change as new developments and improvements are made. 14 in., 26 in., or 37 in.